AP Photo Tiger Woods watches his tee shot from the third hole during the final round at the Hero World Challenge golf tournament, Sunday in Nassau, Bahamas. 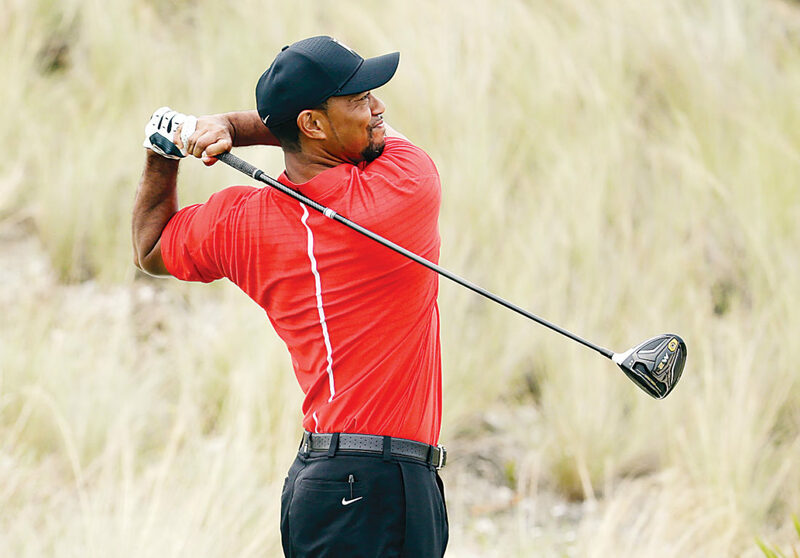 NASSAU, Bahamas (AP) — The return of Tiger Woods was more about the big picture than any of his big numbers. The other players were not about to measure him by his score — not yet, anyway. “The whole world is watching a couple of rounds of golf,” said British Open champion Henrik Stenson, who finished second to Hideki Matsuyama . “It’s great to see him back and healthy and playing. I want to see him up in contention and try to beat him when it matters the most. “It’s kind of new to me again, the feel of playing, the feel of adrenaline in my system, hitting shots,” Woods said. He was never going to win the tournament — Matsuyama was too far ahead — but it was a chance to post a decent number and take more positives into what figures to be a two-month offseason. Instead, Woods added two more double bogeys and shot 40 on the back nine. He said he wants to play a full schedule in 2017 — that typically means no more than about 20 a year — and will look at his options over the next few weeks.